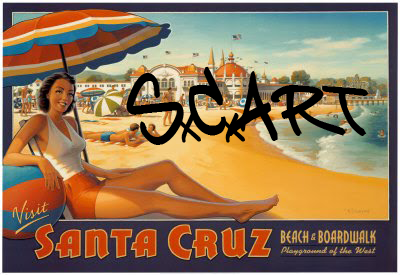 Santa Cruz Art: See this brief video! With your help this exhibit, community workshop and artists talk with happen here at the Radius Gallery at the Tannery Arts Center Please spread the word! All donations are tax deductible and our deadline is December 31! Spread the word! See this brief video! With your help this exhibit, community workshop and artists talk with happen here at the Radius Gallery at the Tannery Arts Center Please spread the word! All donations are tax deductible and our deadline is December 31! Spread the word!